It's Dub, but reverberating far beyond the genre's borders. It has a summer Reggae vibe, but doesn't sound like just another chapter of that good, old story. It's perfidiously dope, but at the same time extremely danceable. It has clever lyrics, but it's all about the sound. 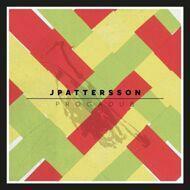 It's what JPattersson describes as PROGaDUB – because he's not from Jamaica, he's from East Germany.